GE Intelligent Platforms introduces the first in a new family of VME multifunction I/O boards designed specifically to address the problems caused by growing constraints on size, weight and power in today’s military platforms. The new VME multifunction I/O boards are also highly appropriate for commercial applications that are similarly challenged by these constraints. The VME-6500 6U multifunction I/O boards can deliver in a single chassis slot, the analogue and digital I/O capabilities that would previously have occupied four slots. This capability makes a significant contribution to substantially enhanced performance and functional density. With data acquisition becoming an increasingly common requirement in military applications such as radar, image capture and processing as well as video tracking, the rugged VME-6500 multifunction I/O boards also respond to the requirement to place data acquisition hardware as close as possible to the sensors with their ability to operate over wide temperature ranges in addition to withstanding shock and vibration. Rob McKeel, Vice President, Military & Aerospace Embedded Computing at GE Intelligent Platforms says that modern military embedded computing platforms are being deployed in an increasingly diverse and challenging range of scenarios that require them to be as compact and lightweight as possible. He adds that systems designers need to pack maximum functionality and maximum computing performance into the smallest space possible, which is where the VME-6500 fits right in. 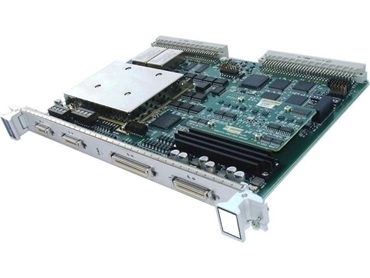 The VME-6500 6U multifunction I/O boards are supported by Windows, Linux and VxWorks.